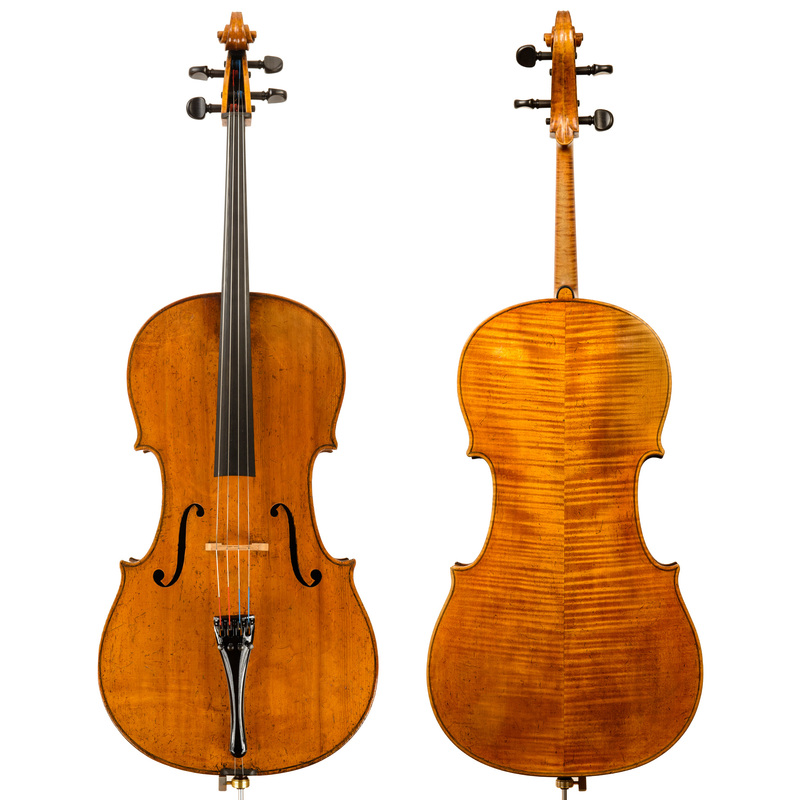 This cello by Nicolo Gagliano (1714 – 1785) is one of the most beautiful examples that we have seen by this maker. The matching maple used for the back, ribs and scroll is of the highest quality. It was made around 1751 on a form that was clearly inspired by the cellos of Stradivari. This is the model that was adopted and used by all the generations of the Gagliano family. The cello was sold in 1949 by Rembert Wurlitzer to the family that still owns it. Accompanying the original certificate is a letter from Rembert Wurlitzer mentioning its previous owner, Ambrose Gauntlett, who was the solo cellist of the BBC Symphony Orchestra. Every great musician of that era was a raconteur and I suspect that this final paragraph of the letter was just the sort of story that an Englishman might imagine would appeal to an American businessman. Wurlitzer was not able to verify the provenance and to date we have not been able to find a Royal link to this magnificent instrument.